When it comes to efficiency and high powered engines then it is almost impossible to resist yourself from buying a new car? Right! But the question arises that is this efficiency is possible only in brand new cars? Do we not have any other potential alternative through that we can transform our old Jaguar into new ones in terms of performance? Yes, we have an option and that is none other than the market of the used auto parts and engines. At Used Engines we take the privilege in providing all kinds of used engines and specialize in used Jaguar engines inventory. We understand it is not easy to trust the market of used engines in terms of authenticity and product quality. But if you take a good look around you then you will easily find some of the reputed stores like us who are happy to help you. At our store you will find all kinds of used Jaguar engines for sale that are available with complete 3 years warranty. Our inventory of engines has passed all kinds of authentication and quality tests including VIN identification so you do not have to worry about the quality of your purchase from our store. When it comes to luxury and sports car manufacturing companies in Britain then Jaguar is one renowned name of the industry. This automobile giant is headquartered in Whitley, England. 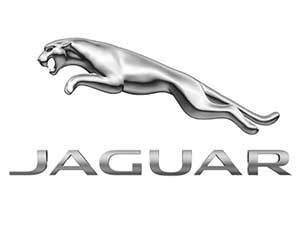 Now it is a subsidy of Tata Motors under the name of Jaguar Land Rover. In year 1922 the Jaguar was established under the name of Swallow Sidecar Company that was originally into the manufacturing of motorcycle sidecars. After the World War II name of the company was changed from SS initials to Jaguar. Due to the merger of Jaguar with British Motor Company the company was enabled to list itself in London Stock Exchange in year 1984. Later in year 1990, Jaguar was acquired by Ford. Jaguar has created a market reputation of manufacturing royal cars for royal people as it had produced XJ model particularly for British Prime Minister and also holds royal warrants. At our store we maintained an appreciable inventory of used Jaguar engine for sale. Unlike other dealers of used engines we do not use any kind of gimmick to boost our sale or attract our customers because we believe in our product quality and services that we are delivering to our customers from long number of years. We have all kinds of used Jaguar engines at our store including latest models like F-type, XK, XF and XJ. Here is the list of Jaguar engines that you can buy from our store at best possible price that no other dealer can offer you. This remanufactured Jaguar engine is available in supercharged version with 2.1 to 5.0 L displacement. Do not wait any longer and grab some of the best deals in Jaguar rebuilt engines from our store.